A modern take on our larger workshop shade. Available with matt black, brass, chrome, or vintage black lamp holder. 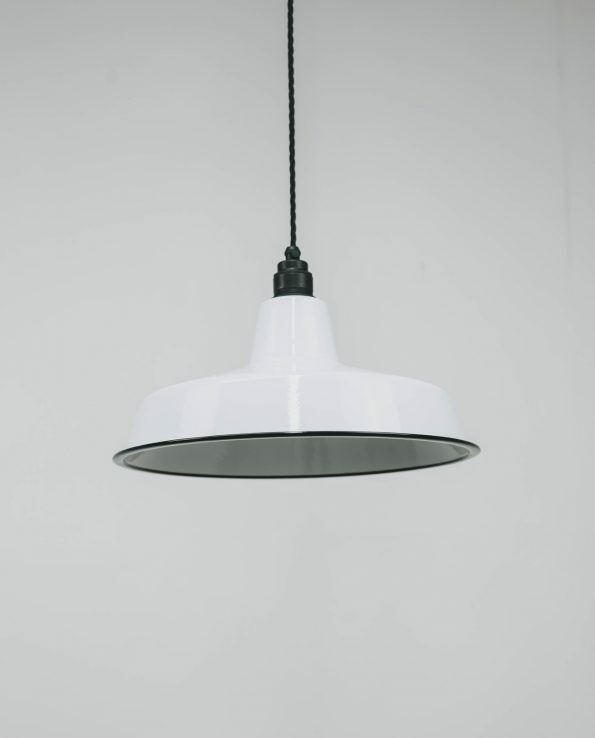 Also available in Black, Duck Egg Blue and Raw steel. 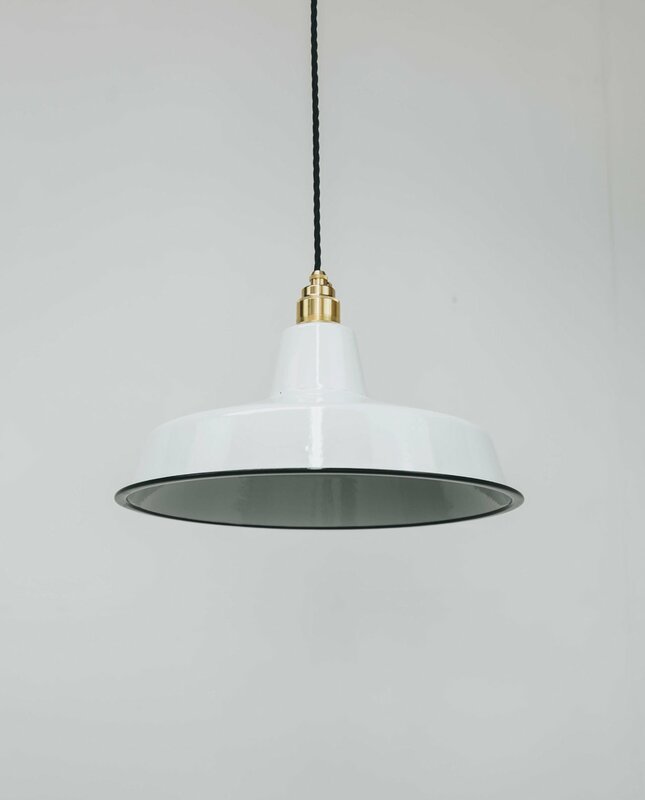 The authentic vitreous enamel shade is manufactured in the traditional style using traditional moulds. Each shade has slight imperfections that give each piece a unique look and add a touch of vintage authenticity. 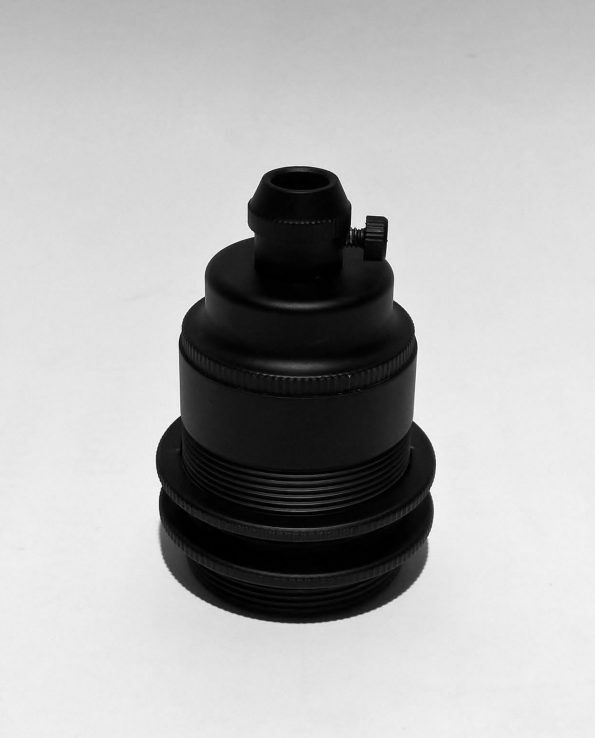 The steel lamp holder fitting and cable clamp are included in the purchase. The fitting will take a standard Edison screw bulb up to 60 Watts and complies to NZ electrical standards. 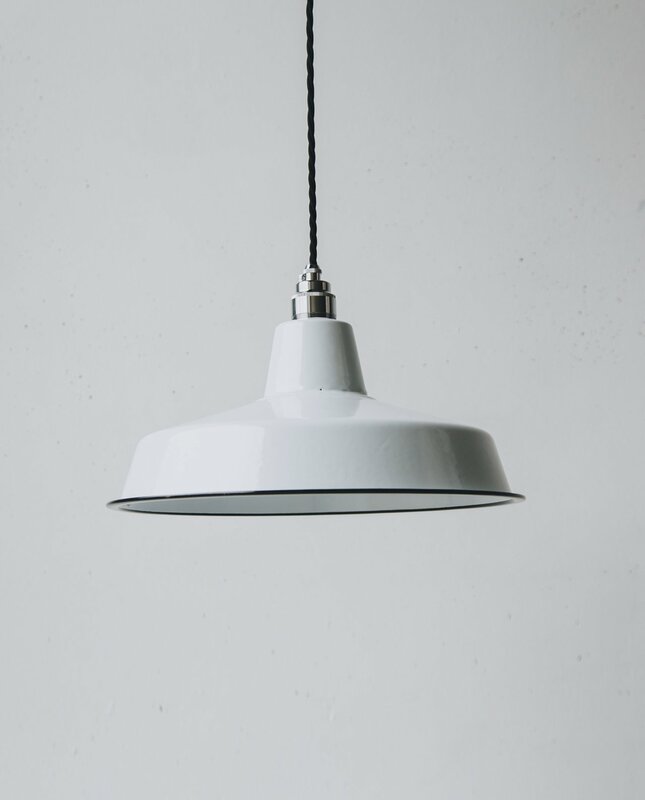 Our range also includes ceiling roses, fabric cable, chain, and LED Filament light bulbs.